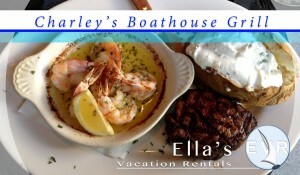 Here is the website: Charley’s Boat House & Grill. As I was looking for a web link to the restaurants website, I came across this great promo video of Charley’s Boat House & Grill on YouTube. I wanted to share this video here with you. When I found the restaurant’s website, I was impressed with is the history of the place. Apparently, it was converted from the house boat and is located on one of the canals. The place is very unique. Personally, I came to have a dinner to this exquisite steak house a few times. It is conveniently located right across one of the Beach Suites that I offer to my guests, on Flamingo St. What a perfect place to stop after work. I am not big on steaks, but you can’t beat the convenience. All I had to do is to walk about 2 to 3 min, across the road. Here is my experience. The variety is exceptional and the quality is supreme. All of the food coming out of the kitchen looked and smelled delicious. Steak House Fort Myers Beach. This place is a hidden gem. The food is outstanding. I tried the mahi mahi, seared scallops, shrimp and lump crab and each item was amazing. The service was outstanding, food was excellent, prices were very reasonable, portions were very generous and the salad bar was top notch. We had a beautiful view of the water from our table. I was pleased to find the traditional salad bar with all types of salads…pasta salad…potato salad…slaw…etc. It was priced at $13 for unlimited trips. For $3 more you could get a “bottomless” bowl of soup. I even tried a steak. This place had the best steak we have ever had in our lives cooked to preciseness and as I put the steak in my mouth it melted without even having to chew it. I would definitely recommend this restaurant to all my guests and I would most definitely return again myself. Follow Charley’s Boat House & Grill on Instagram for some yammy pictures. . I do! 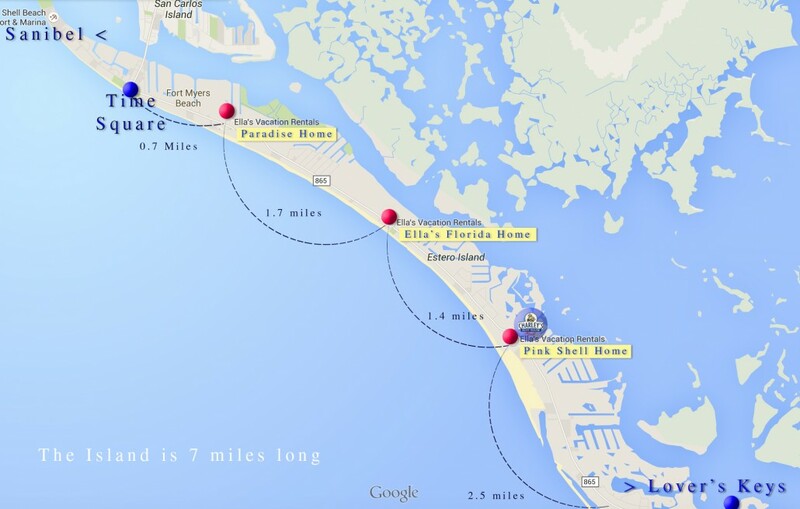 The proximity of the restaurant Steak House Fort Myers Beach to the Ella’s Vacation Rentals. Take a nice walk, reach Estero Blvd, look on your right. It should be about 2 min walk. Look on your left. The place is backed to the canal. It is about 1.5 miles, so driving is recommended. It is about 3 miles drive, which is about 3 min and you are there!